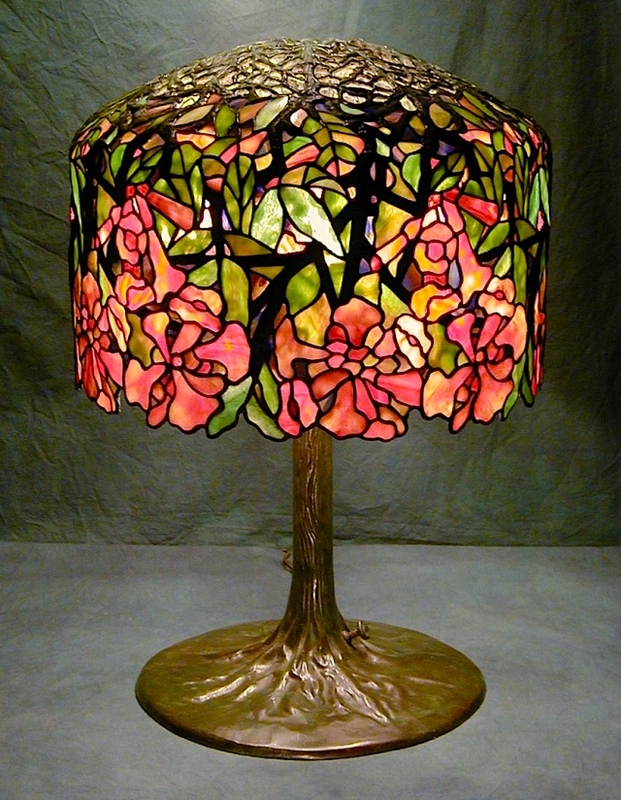 The Trumpet Vine s one of the four Tiffany Studios 18″ shade designs that are topped by a cast crown of openwork branches from which the shade cascades downwards. This shade mixes intensely colored orange/red/yellow flowers and lush foliage against a rich multicolored background. To create the piece, the glasses used include a variety of mottled, streaky, and rippled styles. The heavy branch work that descends into the body of the shade along with the irregular lower border emphasizes the naturalistic look of the lamp. 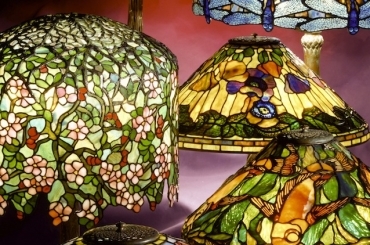 This lamp was made in 2004 and is in a private collection.